Give establish its camming home it deserves, with POV Case SP! 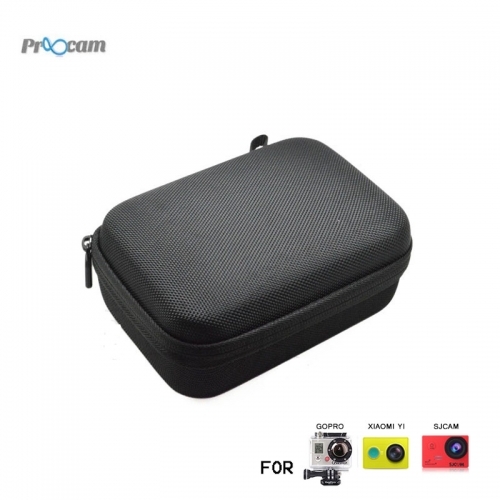 This solid and compact zipper case keeps your action camera equipment neatly organized and protected safely in any situation and at any given time. Using the case may Accumulating your camera and all accessories like LCD BacPac, WiFi Bac PAC, battery, Floaty, SD cards and cables. Case SP POV therefore not only allows quick and easy access to all your equipment, but also keeps safe and sound possible dangers outside. Camera and accessories not included. With so many different assemblies, add-on and the requirement for spare batteries, simply for GoPro now can become a headache to organize, store and transport. We have worked hard to make a case to meet these demands! * Sleek and lightweight, padded and compact! * Complements your team Gopro for perfectly!